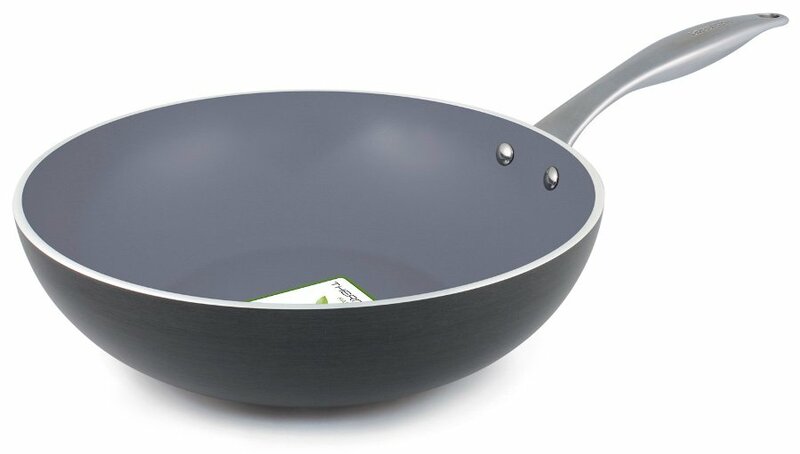 This multipurpose and attractively designed induction wok is in this range of cookware, which is produced with an extra hard-wearing grey exterior, and is superb for everyday use. The stainless steel handle is ergonomically designed helping to decrease heat transfer making it easy to use and is riveted to give it an extra sturdy hold. 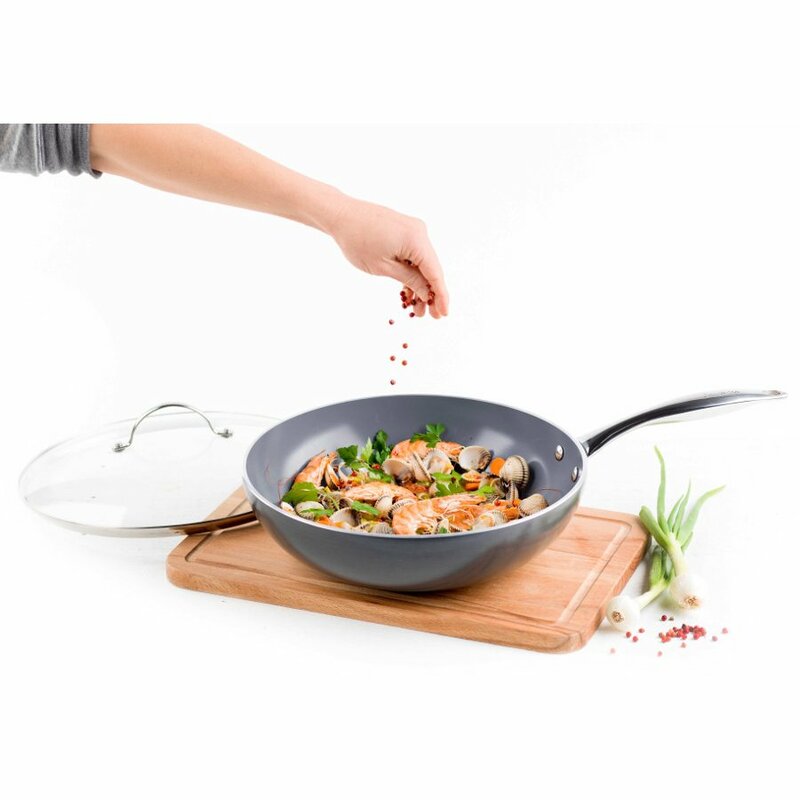 The wok has a Thermolon™ coating that has no toxic chemicals or pollutants ensuring its safety for home cooking. 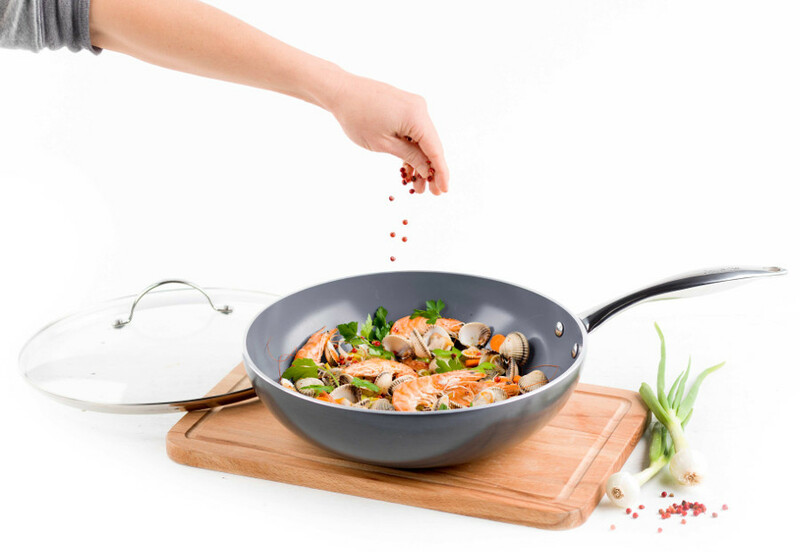 Even when heated up to 450°C/850°F the wok will not give off any toxic fumes and the Thermolon™ will not blister or peel. The GreenPan Venice Induction Open Wok - 30cm product ethics are indicated below. To learn more about these product ethics and to see related products, follow the links below. 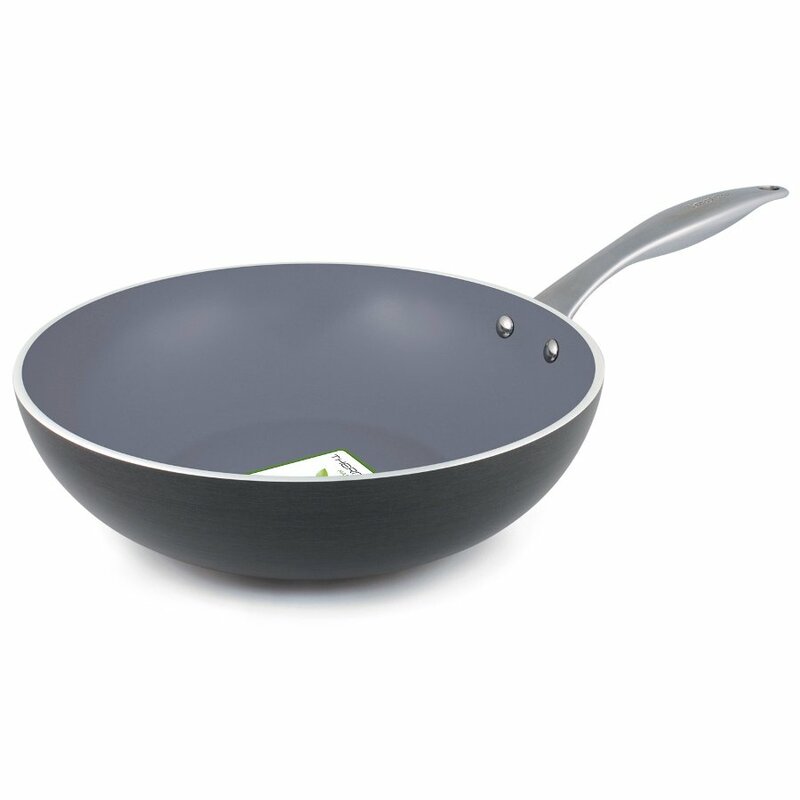 There are currently no questions to display about GreenPan Venice Induction Open Wok - 30cm. GreenPan has produced a stunning range of convenient, sustainable, and high performance cookware. 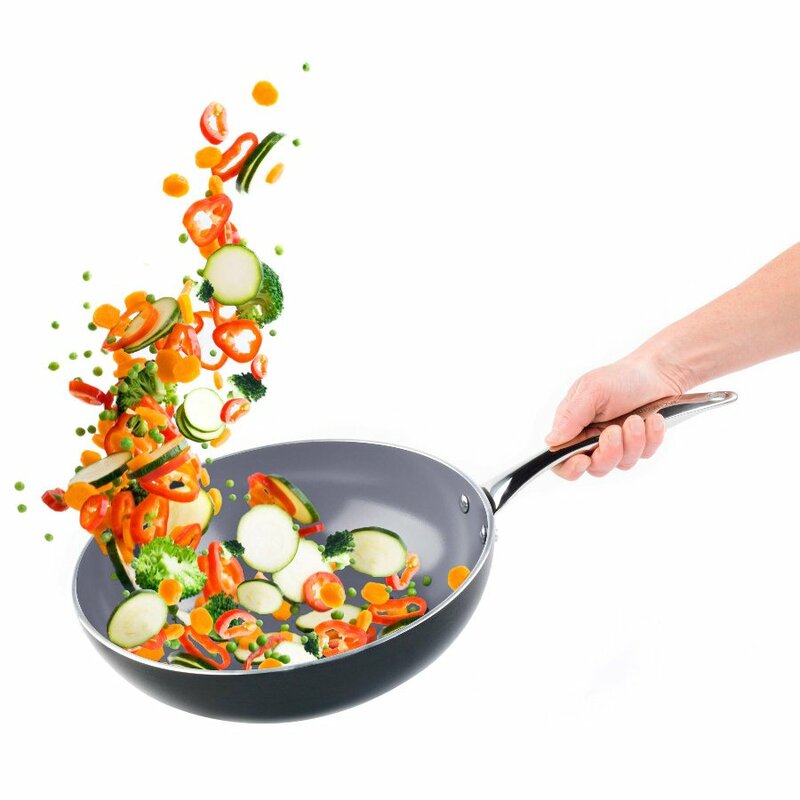 The range is the green alternative to traditional, non-stick pans, and each pan is made up of recycled aluminium and stainless steel. 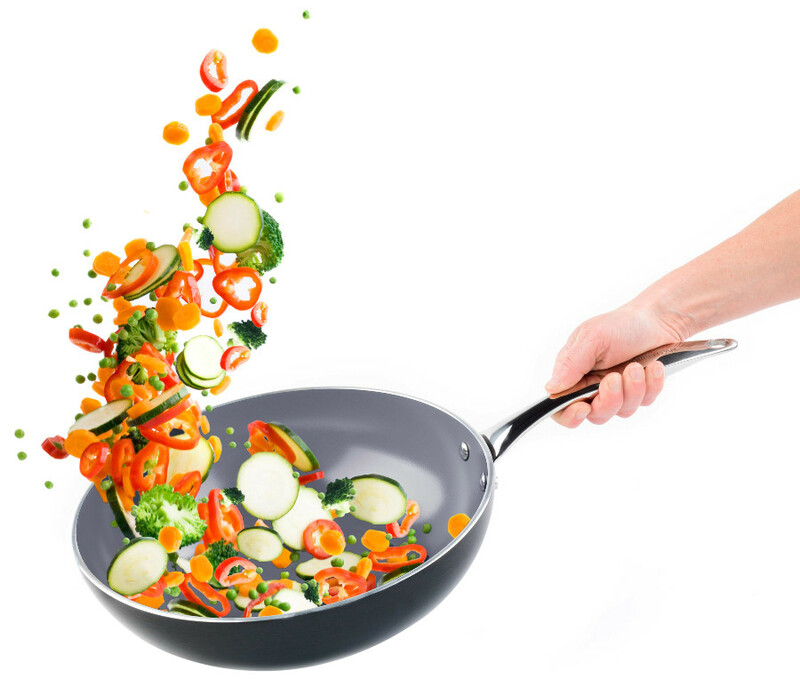 For great quality cookware which is good for you and easy on the environment, choose GreenPan. Another great initiative by GreenPan and its parent company is for every pan purchased they will plant a tree in India to help offset carbon emissions further.